A divided Supreme court on partisan lines upheld Muslim travel ban by a margin of 5 to 4. No different than the 1944 Supreme Court decision that upheld the internment of Japanese American. In the decision, the majority conservative judges believe that the President has a sweeping statutory authority and his decisions based on national security are within his constitutional rights. Thus, National security is the mantra that gives the President absolute power to impose whatever policy he deems fit to secure national interests. The implications of this decision are far-reaching. The president now has the backing of the judiciary branch to include more countries in the list of travel ban countries. The decision, in fact, expands the power and authority of the President beyond the known constitutional process. It relegates the house and senate to a debating club without any authority to legislate because the President has the authority to question any legislation to secure national interests. This is the rise of dictatorship on the ashes of democracy and no one really knows how the events would unfold the future political drama in the country. The Supreme Court decision is made by judges who claim to be nonpartisans and secular, but the reality is that like any other human beings their religious and political ideas and affiliations impact their views. In the current Supreme, there are five Catholics, three Jews, and one Protestant even though he is not loud about his religious affiliation. The Catholics are chief justice John Roberts, Justice Anthony Kennedy, Clarence Thomas, Samuel Alito and Sonia Sotomayor. The Jewish justices are Ruther Bader Ginsberg, Stephen Breyer and Elena Kgan. Neil Gorsuch is an Episcopalian This has not been the case always. Since its inception in 1789, the Supreme Court has had 91 Protestant judges out of 113 judges. The judges are not selected on party or religious lines. However, the possibility of their religious and ideological biases may impact their decision. 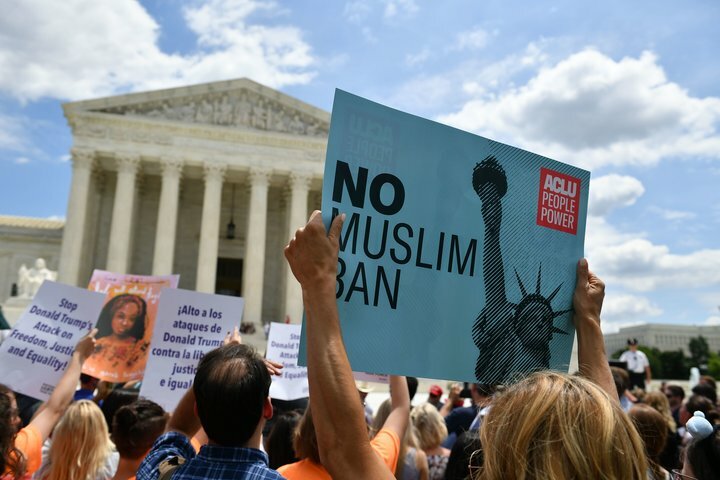 The travel ban decision seems to emerge from this hypothetical belief that the current Islamophobic propaganda created by the right-wing Christian evangelical political groups close to the Republican party and especially to the President might have impacted the conservative judges who are usually more inclined to take positions that in the past have favored the conservatives and Republicans. Indeed, this decision is one of the most earthshaking in modern American history with far-reaching consequences t the generations to come. The 1944 supreme court decision upholding the internment of Japanese still haunt the Japanese and the ethnic and religious minorities. This current decision would be a nightmare for Muslims and other religious minorities who do not endorse the Republican or Trump agenda in the near future. 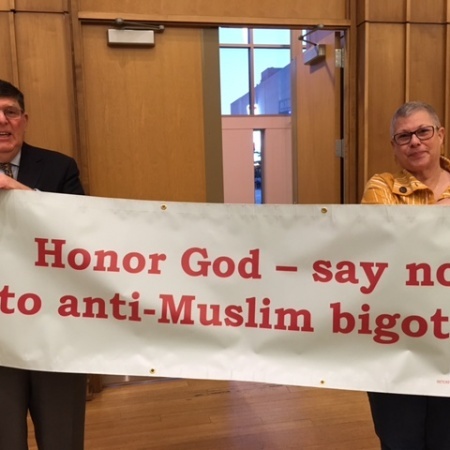 This decision would be seen by the generations to come as a form of legalized Islamophobia and under this decision, Muslims would face, a situation that might pale the Japanese internment. The country is in the grip of white supremacy and evangelical Christian who view every nonwhite non-Christian especially Muslims a threat to Western Civilization under the leadership of America. When race and religion combine to promote their supremacy, nothing but persecution and violations of basic human rights occur through a process the perpetrators call legal. This is where America stands today.